Curved Vane Swirl Diffusers are implemented using Frame and blades of high quality extruded aluminium profiles. Frame with flat frontal face and vanes in linear layout. Hit and miss dampers available for control the air throw. Available from 1 slot to 10 slots diffuser or more on request. All standard or non-standard sizes are available. Air supply or air return between 2.6 mtrs. And 4.0 mtrs. 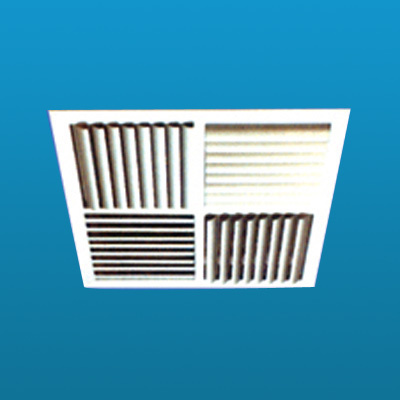 high in Air-conditioning Ventilating and Heating systems. Overlapped in false ceiling by means of hidden fixing systems. They all keep the formation of continuous line diffusers with active and inactive areas without breaking the uniformity of the slots.